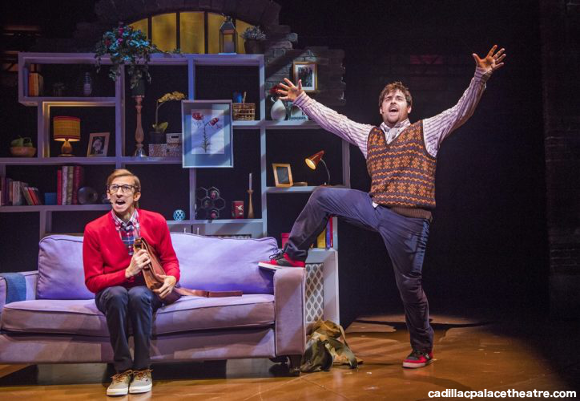 Roll up, boys and girls, and grown-ups of all ages – it’s the School of Rock musical, coming live to the Cadillac Palace Theatre, Los Angeles!! The beloved film of 2003 has been given the Andrew Lloyd Webber treatment. With all-new songs and a fresh new cast, Dewey Finn and the kids are back, and they’re going to give you the best show you’ve ever seen! A fantastic treat for the whole family – don’t miss out!! Get your tickets to the School Of Rock Musical early to get the best seats!! 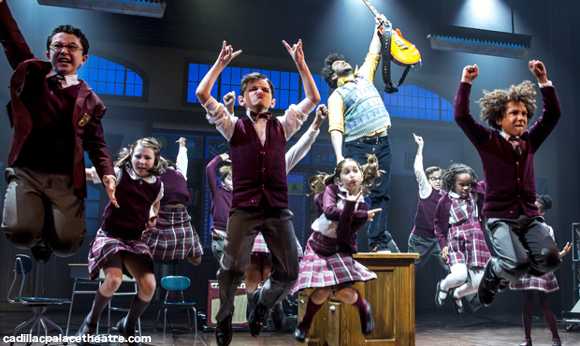 With screenplay by Mike White, the musical follows the story of Dewey Finn, a down-and-out rock musician who blags his way into a substitute teacher role at an upper-class preparatory school. Initially disliked by the students, Dewey soon gains their trust and unleashes their musical talent to win the Battle Of The Bands contest!! 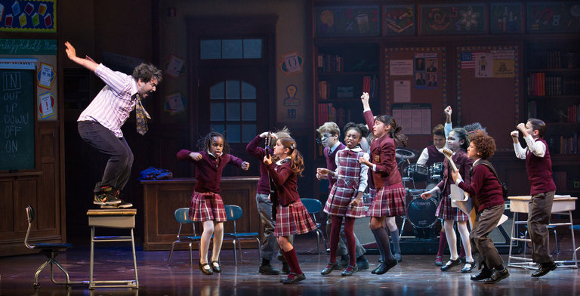 The School Of Rock musical is fun, energetic, and playful – there’s no better way to spend your evening as a family! What are you waiting for?? 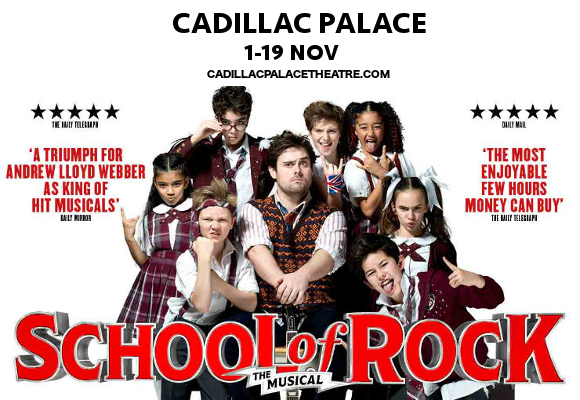 Book your School Of Rock tickets NOW!